Senior Abbas aide warns against Israeli plans to Judaize Al-Aqsa in order to replace it with a Temple. "We must be careful...because Netanyahu is wounded and will try to get revenge and complete his plan in Al-Quds. He has already opened the gates to the settlers so that they can desecrate and contaminate our holy places and expel our people,” claimed Abdel Rahim in a speech he gave in Abbas’s name. Referring to talks with U.S. officials, Abdel Rahim said that the PA had agreed to a U.S. request to restart the peace process, but claimed that the Israeli side has so far refused to agree on a two-state solution within the pre-1967 borders. "We ask the American side to deal with this matter seriously so that the process will not lose its credibility and will be like the ones that preceded it," he said. 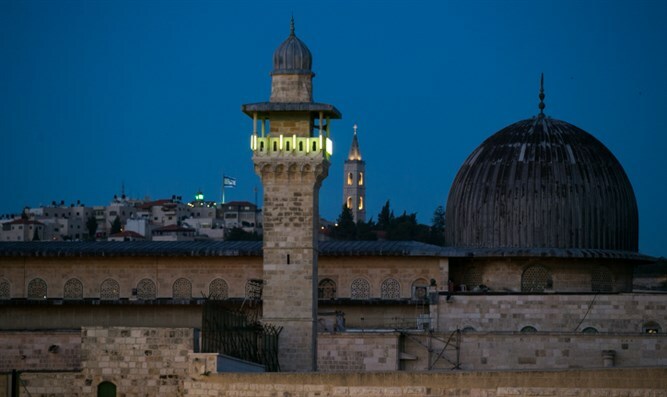 This is certainly not the first time that PA officials have accused Israel of planning to demolish the Al-Aqsa Mosque and replace it with a Holy Temple. In 2013, the head of manuscripts at the Al-Aqsa Mosque made similar accusations, claiming that an analysis of Jerusalem's development plans finds there is an intention to Judaize the Al-Aqsa Mosque, and within this framework build the Temple on its ruins and to then reduce the number of Arab residents in the city.